In response to numerous requests, we have established a start-up service for Ultra-Bio-Ozone™ systems in areas where none of our dealers operate with a package: see the map. 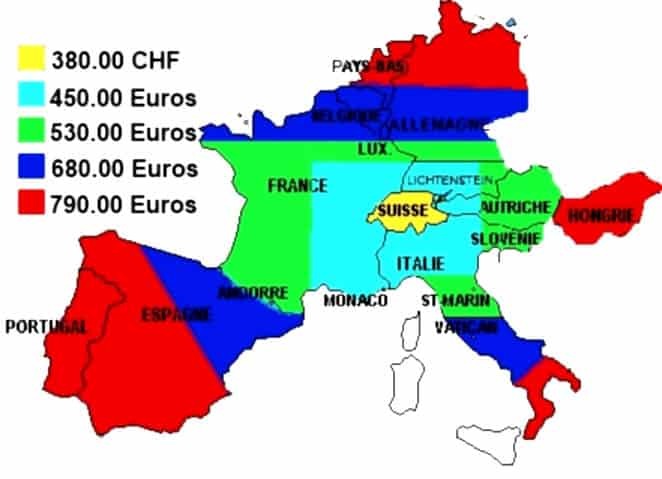 Travel once in Switzerland (hotel, meals, motorway tolls, fuel, etc.). Complete verification of the system before getting started. Checking of all electric and electronic parts. Possible changing of parts at our expense (in case of breakage during transport). Checking of the hydraulic system connection on your installation. Adjusting the operating time of your filtration system. Training on the system operation and its maintenance. Please note that this offer does not include the electrical connection or installing the system on the swimming pool pipes. This must be done before the technician arrives. We remain available to you for any advice regarding the assembly. This service is only valid in areas where none of our dealers operate. In the opposite case, we will redirect you to our local representative. The drawing is for information purposes only. Contact us for an offer.